Making Waves Swim School is proud to offer Private Swimming Lessons with ongoing open enrollment, which means we are continuously accepting participants into our program and you can join anytime. Once enrolled, your day and time is reserved for that session. 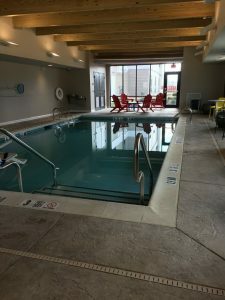 All of our pools are indoor and heated. *Tuition fees are based on one private half hour lesson per week until the end of a specific session. Pricing may vary depending on your enrollment date and type of class. Once your registration or renewal form is submitted, email us at lessons@startmakingwaves.com or give us a call at 609-818-0373 so we can finalize your lesson details!